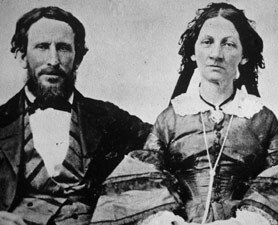 Donner Party A group of pioneers heading to California in 1846 became snowbound in the Sierra Mountain Range. Conditions became so bad that many died of sickness and some resorted to cannibalism. In mid December, a group went out to try to get help and rescuers could not make it until February. Forty-eight of the 87 members made it out of there. 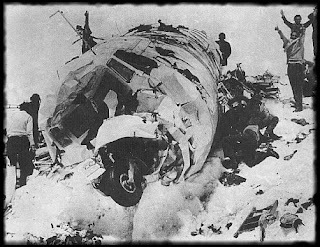 Uruguayan Air Force Flight 571, also known as the Andes flight disaster, and in South America as Miracle in the Andes (El Milagro de los Andes) was a chartered flight carrying 45 people, including a rugby team, their friends, family and associates that crashed in the Andes on October 13, 1972. More than a quarter of the passengers died in the crash, and several more quickly succumbed to cold and injury. Of the 29 who were alive a few days after the accident, another eight were killed by an avalanche that swept over their shelter in the wreckage. The last 16 survivors were rescued on December 23, 1972, more than two months after the crash. The survivors had little food and no source of heat in the harsh conditions at over 3,600 meters (11,800 ft) altitude. Faced with starvation and radio news reports that the search for them had been abandoned, the survivors fed on the dead passengers who had been preserved in the snow. 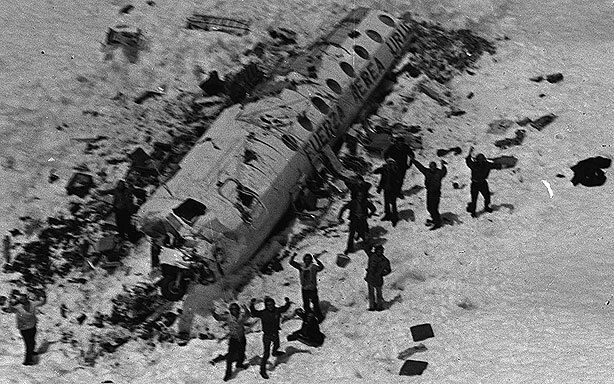 Rescuers did not learn of the survivors until 72 days after the crash when passengers Nando Parrado and Roberto Canessa, after a 10-day trek across the Andes, found a Chilean huaso, who gave them food and then alerted authorities about the existence of the other survivors.